DUAL-SPIN COVER. Contrast of an ultra-soft cast urethane & a semi-rigid inner-cover creates maximum interaction between the cover & club grooves, resulting in exceptional spin performance with full wedge shots & pinpoint control from around the green. 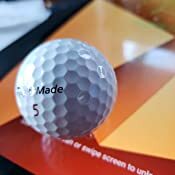 These balls are either fake or 2nds, they come with an extra marking that Taylormade does not put on their balls. I show two pictures, one ball from a local store and the other from here. 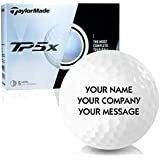 See TP5X? it is even in a different font. I doubt these are real. 5.0 out of 5 starsChanged My Game!!! 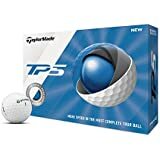 I tried a buddy's TP5 and I was sold on the distance, spin, and feel (sound) of the ball. 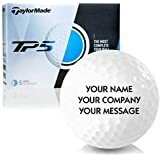 I bought a dozen of TP5 and started using them. A few people I played with mentioned how well my ball was checking on the green. 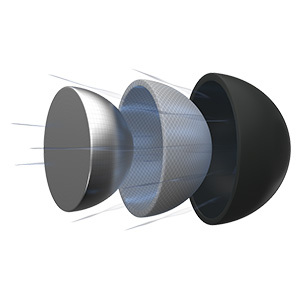 I didn't consider the TP5x because I thought the TP5x would not give me an advantage because of the higher compression. So while playing a round of golf with a TP5 I found an almost new TP5x in the rough so I played on the next hole (Par 5). I saw the distance from the tee and off the deck with my 3 wood but my 3rd shot on to the green was beyond expectations! It was a bit higher than my normal approach shots and it was right on target. It checked and stayed below the hole. 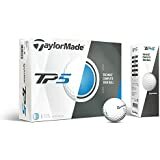 I can see playing a TP5 when you don't want your approach shots to go higher because of the conditions but otherwise the TP5x works for me. I used one ball for 2 complete rounds before I lost my nerve and went to new ball. The cover stayed mostly intact and has proven durable even after multiple club strikes! After retiring that ball, the new ball in play promptly hit a concrete cart path and scuffed a little so they are not cart path proof, but are otherwise the most durable Tour Ball I have ever played. I usually buy end of season Tour Balls when they drop by $10 or more and stockpile them like the world's ending. 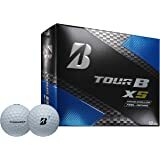 ProV1s are my #1 favorite to play because they sound and feel so beautifully when struck right, but I have no hesitation at putting the TP5x in play during my golf league. 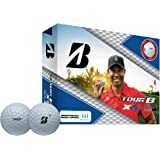 Short irons and wedges I can usually one hop and stop or spin back, depending on the conditions, no matter the ball I play, and these TP5x balls are no different. 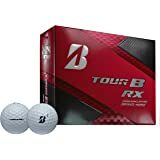 For me, the reason to use Tour Balls is for the extra distance, less unwanted sidespin on straight shots, and more shaping spin when I want to work the ball (driver cuts on doglegs, big hook-draws on sucker pins, etc.). 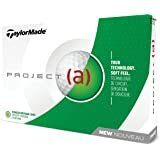 One thing I have to remember is that with the stop and drop Tour Balls, you don't get that extra roll-out like on the range, so on a 130 yard approach shot with the pin in the back, you better have your distances dialed in because you will need to land the ball as close to the pin as possible unless you like 80 foot putts. 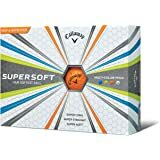 I like the Callaway Superhots for distance and supreme durability but I find that I can't work them as subtly as Tour Balls. 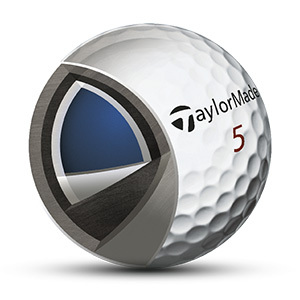 Putting Tour Balls feel much better than anything else and TP5x fits that bill too. 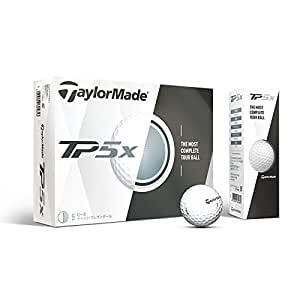 I don't know if Callaway and TaylorMade designate the "x" balls the same as Titleist's "x" because I prefer TP5x and ChromeSoftX along with ProV1 (not V1x). 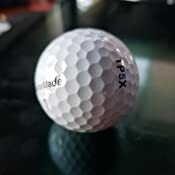 It's my understanding that the ProV1x flies higher with the ProV1 having a more penetrating trajectory which appears to align with Callaway's and TM's "x" line. 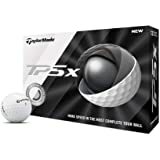 Regardless, I don't think you can go wrong with the TP5x if you are used to playing a Tour Ball and would be a great introduction to Tour Balls if you wanted to make the switch. Buy them at the end of the season to save some money before they add new and improved technology to the next model. For reference, I usually hit my XR16 driver about 290 on the range and get about 305+ with Tour Balls on the course. 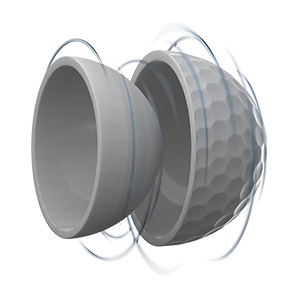 Great golf balls. Tried them and I like the result they provided. Im a 13 handicapper and want to get under 10. These balls just might do it. 5.0 out of 5 starsGreat Balls! 5.0 out of 5 starsBest!